We were thrilled to be shortlisted for a National Association for Managers of Student Services (NAMSS) Award recently. 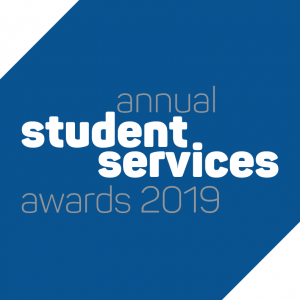 A new category this year, the ‘Student Services Inspirational Project of the Year’ recognises the work that inspires colleagues, learners and the local community. The College identified that the support from secondary to further education can be precarious and the process could be improved, so in May 2017 the ‘Room 15 Transition Support Project’ began. This innovative project added a whole new dimension to the process – starting the moment a prospective student applies, through interview and admissions, taster days and finally easing them into day-to-day college life. The extended transition support continues with follow up meetings as required, giving students the chance to familiarise themselves more with the college and staff. This familiarisation reduces anxiety, clearly signposting the support services available – both for emotional and learning support. The impact of the project is clear, with students settling in to College life much more effectively than before. Susan Churches, Director of Student Progress Wellbeing and Safeguarding and Adam Court, Wellbeing and Safeguarding Lead, attended the NAMSS conference in Liverpool followed by their annual awards ceremony, to network with other student services teams around the UK and find out if we had been successful with our entry. Although we didn’t walk away with the top prize, we were presented with third place with Bridgend College and Scotland’s Rural College pipping us to the post. We are extremely proud of our Student Services team for being recognised nationally for their vital work to maintain student wellbeing, progress and safety.